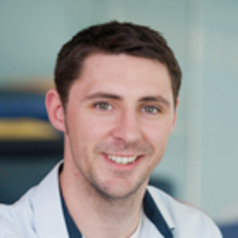 Conall graduated from Northumbria University in 2009 with an LLB (Hons) Law LPC Exempting degree. In 2010 he attained an LLM in Human Rights Law from Queen’s University Belfast. While studying towards his LLM Conall also worked as a campaigns intern for Amnesty International. On completion of his master’s degree Conall returned to Northumbria University to commence his PhD studies under the supervision of Professor Rhona Smith. His research focused on the extraterritorial application of human rights treaties. Beginning his PhD as a full-time student in November 2010 he later transferred to part-time study in September 2012 on commencement of a full-time academic lectureship. Conall received his PhD in Law from Northumbria University in 2015. Conall’s research interests are in international law, international human rights law and civil liberties. His PhD thesis was titled ‘Exporting Rights: Extraterritorial Obligations in the European Convention on Human Rights after the Iraq Conflict’. This thesis and his subsequent publications have considered the application of human rights law abroad. He is also interested in the application of Laws to Migrants at Sea, the Responsibility to Protect doctrine and Consular Law and Practice. Conall teaches International Law, Public Law, Law of the European Union, Legal Research and Equity and Trust Law.